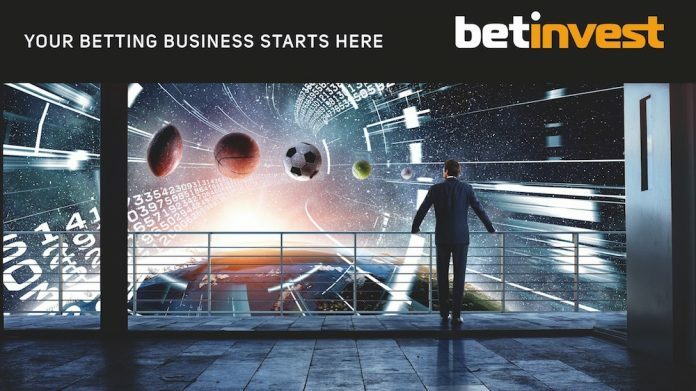 The American people’s enthusiasm for sports, inclusivity of esports and the increased roster of sporting events in the USA are just some of the reasons why Betinvest’s VP of Business Development, Valentyn Kyrylenko, believes the American market presents unlimited possibilities in 2019 as the company prepares to exhibit its Sports Betting, iFrame, eSports and AI solutions at the first ever ICE North America in Boston (May 13-15). As a leading sports betting provider in both Europe and the US, what are the key differences to operating in North America? When it comes to European sports, a number of famous championships can be held in just one year, as was the case in 2018, but it’s not always the case and despite lots of engaging annual tournaments taking place it can have an impact on betting. If you look at US sports, every bookmaker will be pleased to learn the country has top sporting events both monthly and annually and as Americans are real sports enthusiasts, it doesn’t end there! In addition to this regular season, before the final they have playoffs and knockout competitions which last all year, so it goes without saying there are always a lot of opportunities for betting. Another important aspect to note is, whereas in Europe, we often bet on one of three outcomes – a victory, draw or defeat. With NBA, NHL, baseball and American football, there is no ‘draw’ option. This is an attractive prospect for customers who can focus on placing bets on the winning team which is an important detail for bookmakers to understand when heading to the US market. What does the US market represent to your company? The American market presents unlimited possibilities, but bookmakers wishing to get started there need to consider their how own goals line up with the specificities of every state. Regulations and player preferences vary from state to state. Let’s take Pennsylvania as an example: it’s a northern state where people tend to like ice hockey, so it’s important to offer NHL events. We also know that this state has professional basketball and American football teams, so customers living there are sure to be interested in those sports. Another thing to consider about the US market is that college games are very popular and attract enough fans to fill huge stadiums. This could be another interesting direction with lots of potential for betting. The younger millennial market is a key focus for esports. How is Betinvest targeting this part of the US population responsibly? The recent tremendous growth in esports is evident across the world. This is partly thanks to its appeal to the younger generation, but also because esports provides a new opportunity for anyone and everyone to become a sportsperson. This type of sport has a real sense of competition, so people enjoy it and have fun for the same reasons they do with traditional sports. The popularity of esports depends on the region. In Europe, it is still not as popular as a football, for example, but in Asia, the prize funds for esports tournaments are on a par with those of tennis matches. Interest in the tournaments is therefore very high. The popularity of esports is equivalent to that of Rugby in England and Eastern European countries. Last year, the US and China generated over half the global esports revenue. These two markets are the largest when it comes to esports. One of the most appealing things about esports is that it promotes inclusivity. Even if you have an unsportsmanlike figure or a disability, you can still be an athlete: you are one of us. I think this is a great idea. People succeed in this sport without having any special physical abilities/gifts. You’re making waves in the esports world with your new technology and solutions. Can you discuss your strategy for investment in US eSports? As you know, we formed a new esports department at Betinvest to develop this aspect of the business. Everyone in the team has their own experience of being casual esports customers which helps us to better understand our esports audience. We know which games attract the biggest audiences, and this helps us to design our products. What’s more, we’ve assembled a strong team of traders and analysts who spend hours analysing esports data and new information from various games. Our live traders keep their eyes peeled, offering a wide selection of live odds which are made available to the end customer. At present, we offer odds for over 20 esports games. It’s important to remember that, although there might not be monthly tournaments running for all of those games at the same time, you’d be guaranteed to see at least six disciplines offered on our partners’ websites at any one time. Of those, the top three are Dota 2, CS:GO and League of Legends. We offer approximately 2,000 pre-match and up to 1,000 live markets for these three major games. As for our next steps, we will invest in developing our esports products. Our goal for 2019 is to become one of the top three leading esports odds providers in the world. What’s the significance of Clarion consolidating its US events into ICE North America and what are you preparing to showcase there? It’s great that the ICE event is coming to North America to bring together gaming providers and operators from all over the world. Our team will be attending the event, offering our Sportsbook product as well as a variety of other solutions, all of which we are constantly improving. We understand that the US market is different from the European one in terms of sports and seasons and already have a very competitive Data Feed with pre-match and live odds for the top American championships and sports: NHL, AHL, NBA, NCA, NLB, etc. We have gained our expertise through 20 years’ experience in the betting industry and our selection of odds is very strong. It’s even better than that which local bookmakers are offering in the States, and it won’t be difficult for us to add more American sports to our selection. Recent changes in legislation means that the American market has opened up, making this exhibition an excellent opportunity for anyone looking to seize the chance to start a betting business in the States. Betinvest will be exhibiting at ICE North America. For more information or to arrange a meeting, contact Valentyn Kyrylenko, [email protected], +38 95 231 30 44 .